Employees and HR professionals may have a new tool to address workplace harassment. The platform allows employees to file complaints against an individual or an entire company and launch an independent third-party investigation. HR also can use the service to monitor false allegations, handle misinformation and avoid costly litigation. 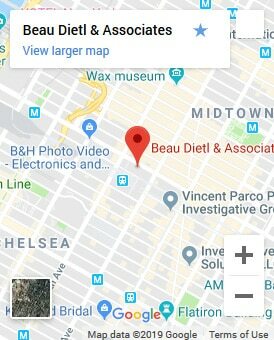 The service, known as the BDA Ethics and Compliance Solution, was launched in March by Beau Dietl, a 15-year NYPD homicide detective, who became a private investigator 30 years ago. Dietl wanted to develop a way employees could feel safe at work. He recognized that complaints can explode into larger problems because employees were too afraid to complain. Once described as Fox News’ “tough cop,” he was hired to discredit those accusing Fox News chairman Roger Ailes of sexual harassment. Additionally, in 2016 the Daily Beast quoted him as saying that most of these cases are “political correctness” run wild. Companies that offer employees a way to report any kind of misconduct are more profitable than firms that do not utilize these kinds of tools, according to a 2018 study on the use and efficacy of internal whistle blower systems. More than a year ago, a series of high-profile allegations of sexual misconduct against moguls in Hollywood launched the #MeToo movement. Victims of harassment in all forms began to come forward with their stories in industries from healthcare to tech and other wide-ranging professions. With HR departments left wondering what to do next, a slew of tools aimed at helping companies combat the #MeToo workplace issue have cropped up. One app — Vault Platform — gives employees a way to document and report sexual harassment using block chain technology to provide a safe space. Other tech enabled tools such as AllVoices, Bravely, and Callsito have launched over the last few years. Now, the BDA Ethics and Compliance Solution platform wants to offer employers and employees another means to deal with harassment by utilizing and independent, third party service that will launch an investigation into the allegation.